Thank you to everyone who joined us for the Second Annual Frimoth Backyard Summer Concert. 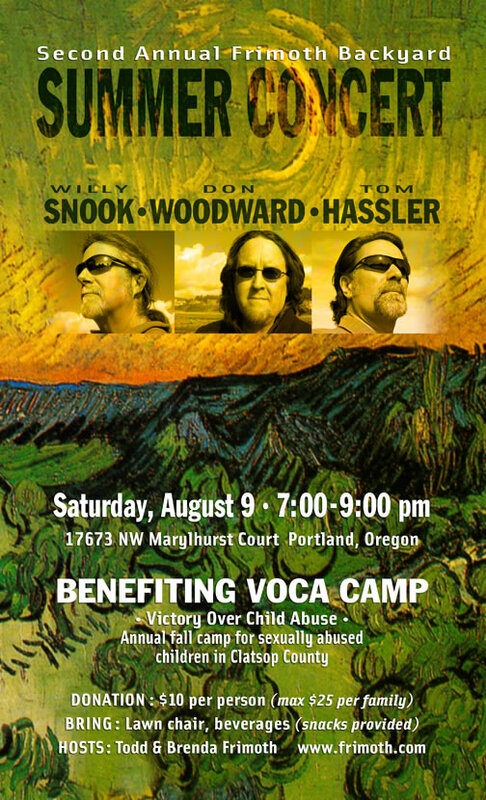 It was a resounding success musically and benevolently, as we raised over $750 for VOCA Camp! This money will go directly to the camp slated for next month. Your generosity was tremendous! Margaret was thrilled! Lastly, a HUGE thank you to Don, Willy, Tom and Marshall for the magical night of music.